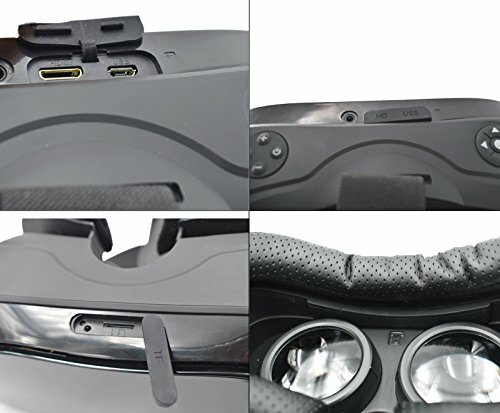 - Games & Apps : The HDMI port can connect the VR to PS4, Xbox1 and PC. 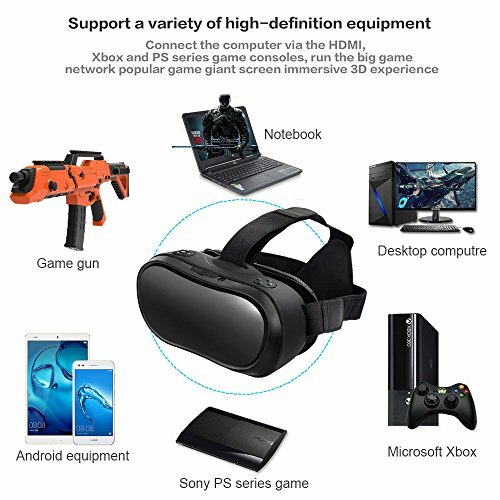 Furthermore, WiFi and Bluetooth allow you to download many apps (NIBIRU system 2D/3D app, Google play, Youtube, Third party app and so on), videos and games into the VR headset. 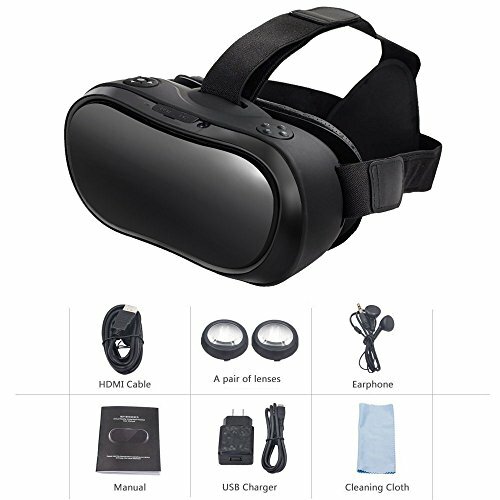 - T-shaped Headstrap : It has straps that go along the side and top of your head that are padded and adjustable to get just the perfect fit, which can help decrease the pressure around your eyes so you will feel much more comfortable when enjoy movies and games. 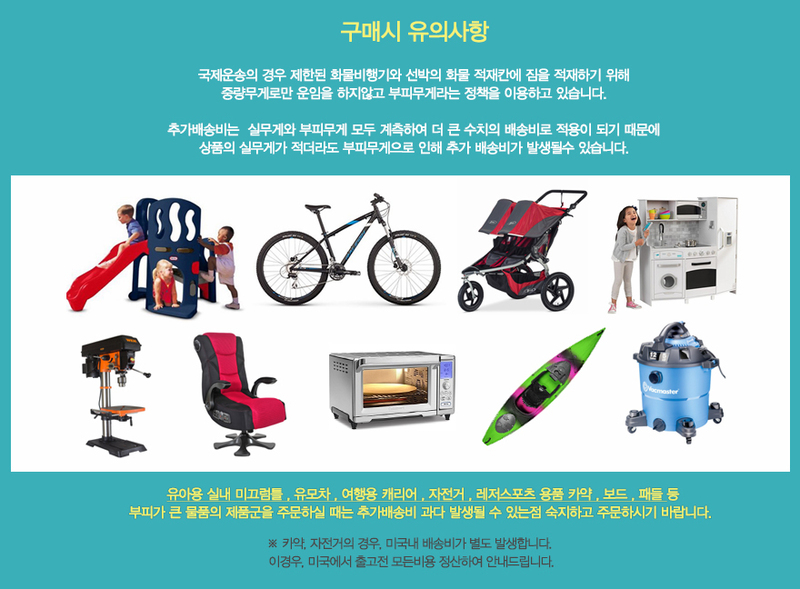 - 2D/3D/ Panorama models : There are 2D/3D/ Panorama models for films. You can change different model and control the play progress during playing. Besides the resolution is 2560x1440P, the screen is clear so you will feel comfortable during using the headset. 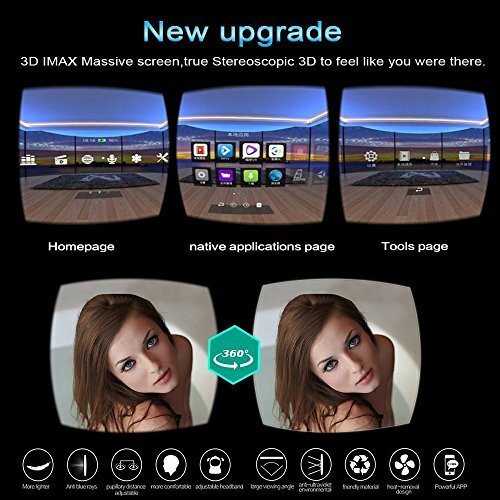 - Gyroscope : The VR headset includes gyroscope, acceleration, so the item with highly sensitivity, you can control it via turn around your head. 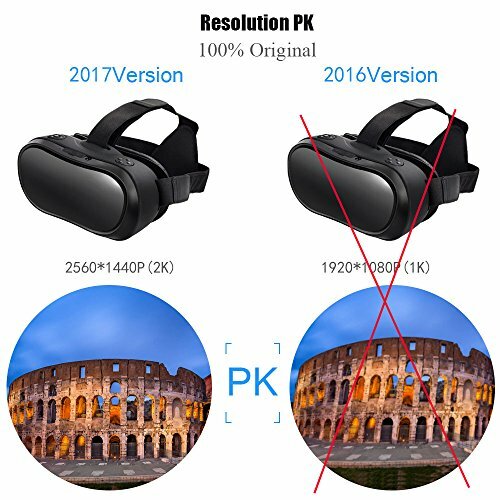 What's more, the VR headset has an energy saving mode, the screen will turn off after 30 seconds of inactivity. 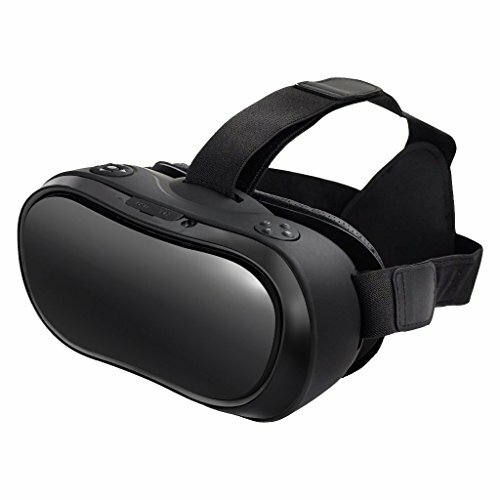 - TF Card : This VR headset supports to install a TF card and you can download many videos you wanted in your TF card. Please make sure the TF card in good condition, or the VR headset cannot play videos in the TF card.